As a young girl, Joachina believed she wanted to be a nun, but she married Theodore de Mas, a man from a royal family in Barcelona, Spain, in 1799, when she was only 16 years old. They had nine children before Theodore was killed when Napoleon invaded Spain. Many people might think that the responsibility of raising such a large family alone was enough, but Joachina also found time to do volunteer work caring for people in need. She believed that the followers of Jesus are called to imitate his example. 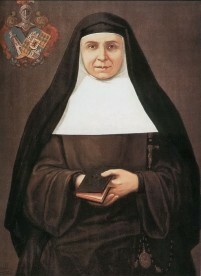 In 1826, when her children were grown, Joachina decided to form a religious order called the Carmelite Sisters of Charity. This would allow her to lead others in living their faith through prayer and loving actions. The order cared for the sick, the poor, and anyone in need of an education. They built houses for the homeless and started schools in poor areas. Joachina never neglected her own spiritual life. She believed that having a close relationship with Jesus filled her with the grace and strength to do Christ’s work in the world. She grew closer to Jesus through the Eucharist and prayer. 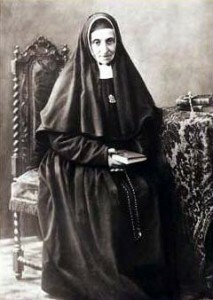 She died in 1854 and was canonized in 1959. 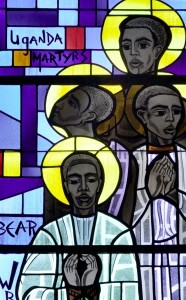 Joachina’s life reminds us that all of Jesus’ followers have a mission. St. Joachina is a patron of abuse victims, exiles and widows.